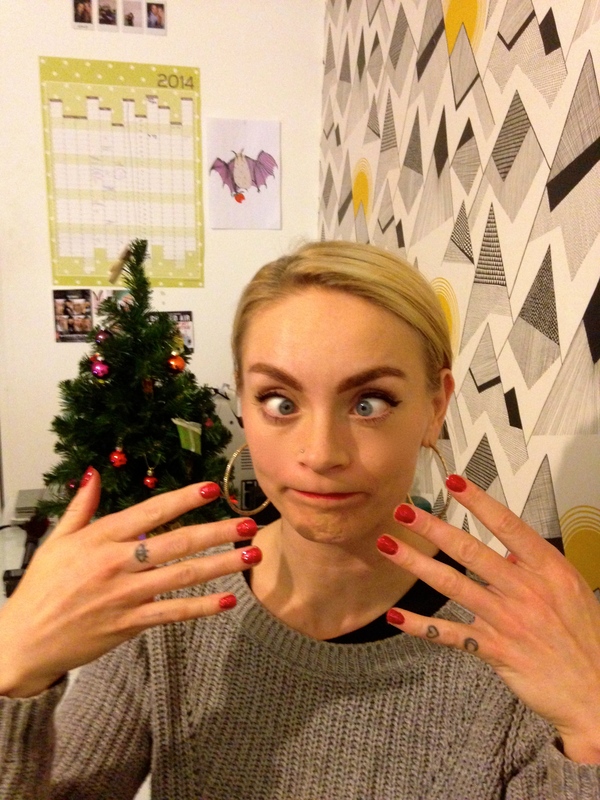 Festive Nails With Stef Nurding In 7 Easy Steps! Animal UK rider, Fashion Graduate & Model Stefani Nurding knows that skateboarding takes its toll on those nails… Get spruced up in time for Christmas with Stefs super simple festive fingers guide. STEP 1) Using your nail file, gently shape your nails into your desired shape. I have just rounded mine slightly but pointed is nice too. STEP 2) Push back those cuticles!! STEP 3) Base coat your nails to remove any ridges and to keep your polish lasting longer. STEP 4) Paint your nails in red. Do two coats and wait until they are just almost dry but not quite so the glitter will stick. STEP 5) Now for the fun part…Get some glitter on your brush and apply to the base of your nail, do as much or as little as you like. Make sure you do it gently as not to smudge the red :). STEP 6) Top coat your nails, the glitter will move around but if you keep the strokes even from base to tip you can’t really go wrong and they will stay looking cute. If you’re in the Plymouth area (or are willing to travel!) you can get your nails done by Stef herself, visit her site for prices and more pics www.nailsbystefani.wordpress.com. To see Stef shredding watch this edit below!